Do you have trouble asking for what you want? During a massage, many clients feel uncomfortable telling the practitioner what's working and what isn't. We want you to have the best experience possible! 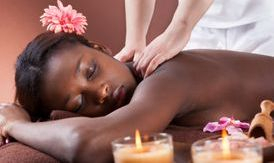 Receiving a massage is a time to rest and renew as you experience the deeply nourishing effects of skillful touch. As your muscles relax and your mind unwinds, do you ever wonder how to talk with your massage therapist? 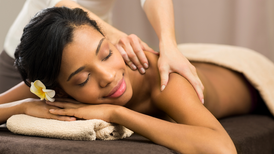 For a massage therapy treatment, the therapist is dressed very professionally, and a health history form must be filled out on the first visit. The general health questions are necessary since there are some conditions a massage is not suitable for. Your body is a Temple, and it should be treated as such. Lucky for locals, the team at Renew Your Temple Massage is up to the challenge. Backed by extensive experience, as well as natural talent, these skilled therapists use everything from heated basalt stones, to Thai passive stretching techniques, to targeted acupressure treatments to help restore balance and comfort. The result: a temple that's pampered, pain-free, and ready to weather the world. ENJOY YOUR LIFE!